I’ve always been a multi-crafter more than a specialist in any one technique. Weaving and spinning are rapidly coming to the forefront of my interests, but over the years I’ve also enjoyed metalworking, calligraphy, embroidery, stamp carving, and various mixed media projects. … it takes time! I’m working on a more substantial post about my miniatures, but in the meantime, I thought I’d put up a couple of photos of the projects I’ve been talking about on the blog. 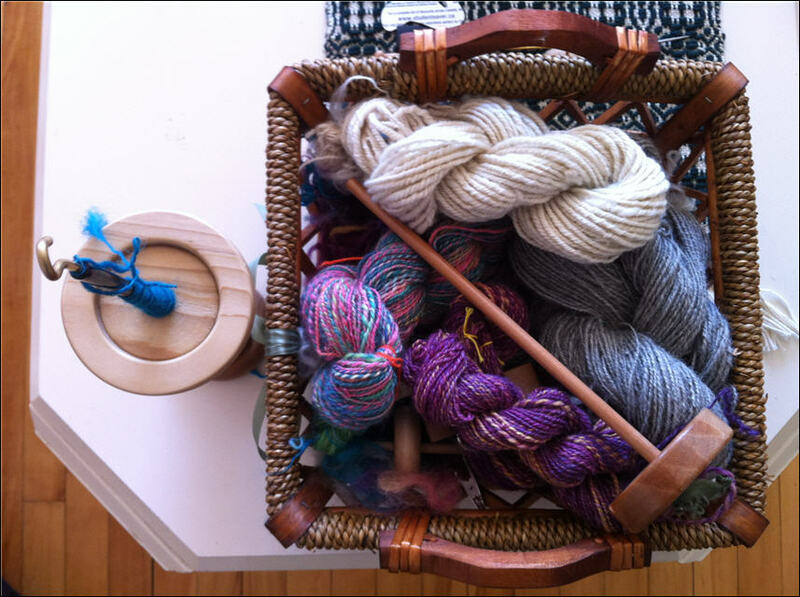 No surprises here: just weaving and spinning! Also in the hobbying realm, I’m deciding how to allocate my craft-and-hobby budget for next month. 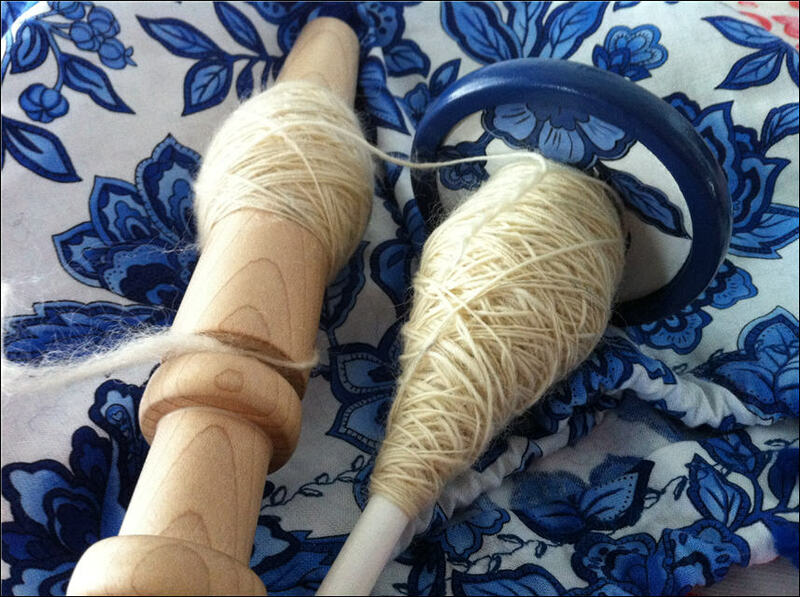 I’m torn between a small kantele for my music and a miniature inkle loom for my tablet weaving. (You may accurately observe that these are both compact items. Maybe someday I’ll have a dream workshop equipped with a full-sized propane torch, a lathe, a drill press, and similarly delightful implements, but for now, many of my tools and hobbies are miniaturized by practicality. I mean, aside from the enormous floor loom.) 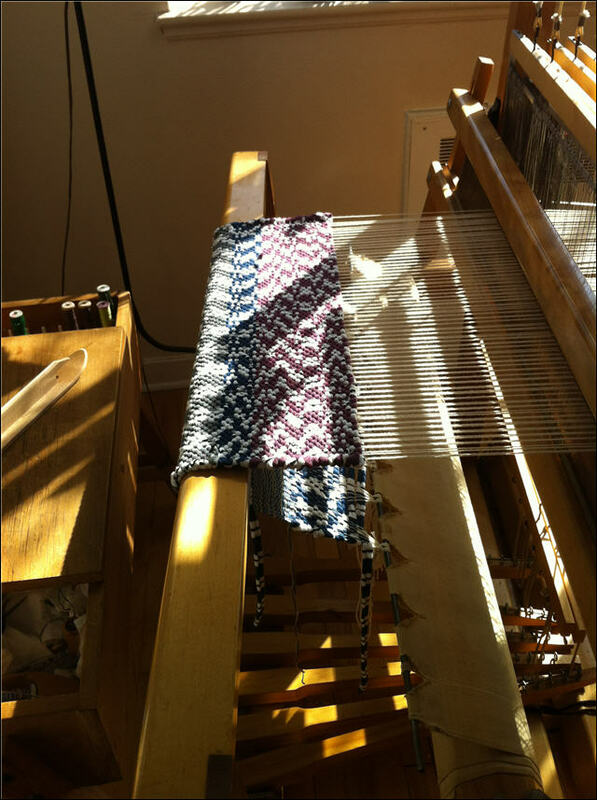 I have a large psaltery from Musicmakers and like the idea of augmenting my collection with a more portable instrument, but the inkle loom would probably be more strictly useful. I’m finding backstrap weaving too uncomfortable these days. Thoughts from any weavers out there? 3.5m isn’t too bad for an inkle loom, I wouldn’t bother with the super tiny one though because the warp isn’t long enough to make much. That kantele is super cute! Do you think so? I don’t usually make very long bands, mostly bookmarks and short straps. My concern is actually having enough space to manipulate the cards! I’ve seen the inklette in a store, but not assembled, and I haven’t found much about it online. I’d hate to order it and find out that it wouldn’t work for me. With the kantele, you’d need a case. I’m not sure they sell one for the Piccolo model. I think it’s small enough that a little canvas bag would work. My big harp has a bag, but I’m still afraid to carry it around too often. Sooner or later it will be injured. (Yes, this is a recurring justification for acquiring miniature versions of my stuff, but in this instance you must concede a certain validity. Assuming you concede the validity of carrying around harps in the first place.) Eh, we’ll see.